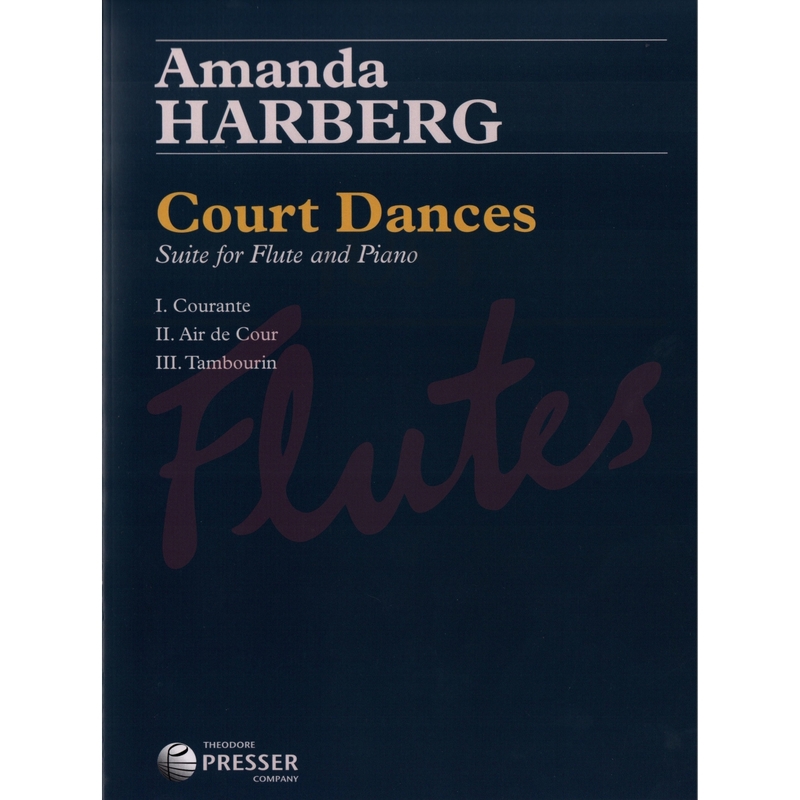 In COURT DANCES, Amanda Harberg's musical palette sparkles with her trademark sense of imaginative energy, warmth and lyricism. 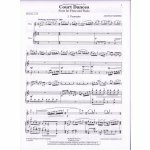 The three-movement work is a joyful and soulful celebration, commissioned by flutist Cobus du Toit with a consortium of 57 co-commissioning flutists from around the world. 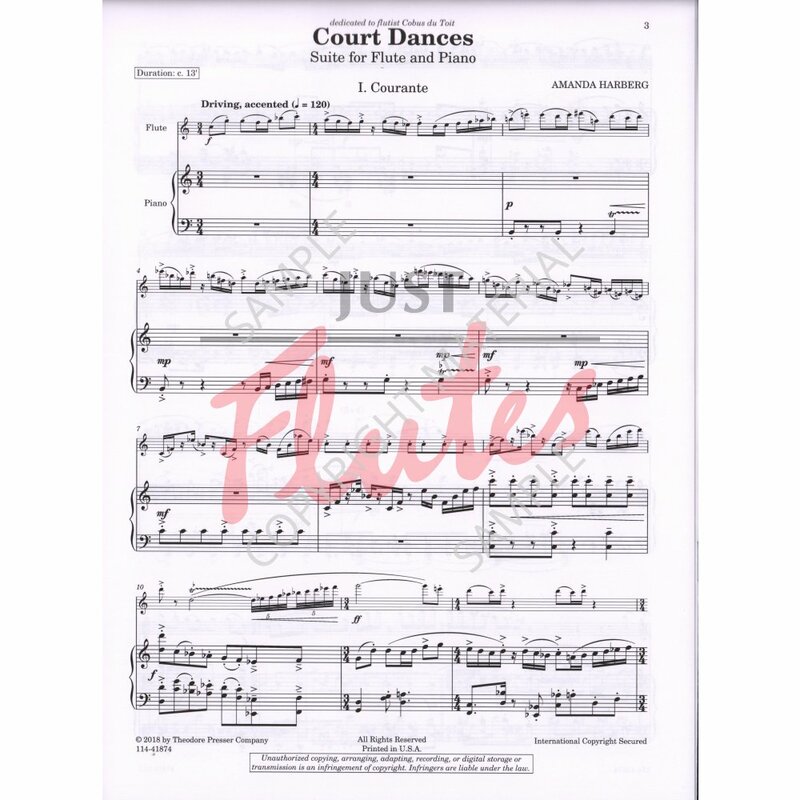 Mr du Toit premiered COURT DANCES at the 2017 NFA Convention with the composer at the piano.